Focus On Incentive-Based Compensation – Most group long term disability insurance programs insure only base salary. However, most executives, sales professionals and other key contributors within an organization are compensated beyond base salary alone. 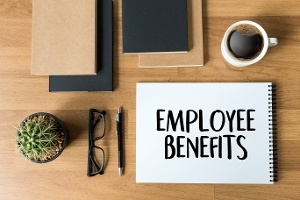 Bonus, ownership distributions, stock bonus plans, and other fringe benefits add up to a significant portion of income uninsured by the group disability insurance program. When disability occurs without any other form of planning beyond a group program, these valuable employees are left in a devastating financial state, drastically disrupting their lifestyles. A Life Happensr ecent study called “What Do You Know About Disability Insurance?” concluded 7 in 10 employed Americans would have trouble in a month or less if they couldn’t earn a paycheck. This statistic emphasizes the importance of disability income protection insurance and why advisers need to be talking to clients about their options.